It has been an exciting week of TV reality show auditions and American Idol alumni appearances! This is the first post of a new feature here on idolreview.net, entitled the Friday Roundup. Ok, it’s a working title. Don’t judge. Idol alum were all over the place this week, beginning with a strong showing at the Grammy Awards last Sunday evening. Kelly rocked the “just rolled out of bed” hair while rocking out with Jason Aldean. She held the whole show together while the poor guy had mic problems–always a professional. Ms. Underwood also looked stunning per usual. 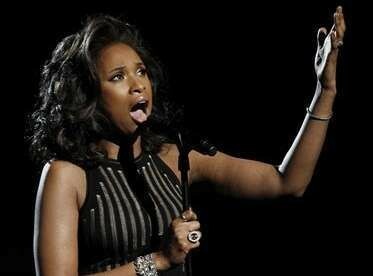 But of course the most moving performance was from Jennifer Hudson in memory of Whitney. She even rocked the Whitney hair. Please remind me again how John Stevens and his performance of Crocodile Rock finished ahead of her on Idol? Monday night we got to see Kat McPhee on her FAB new show Smash. 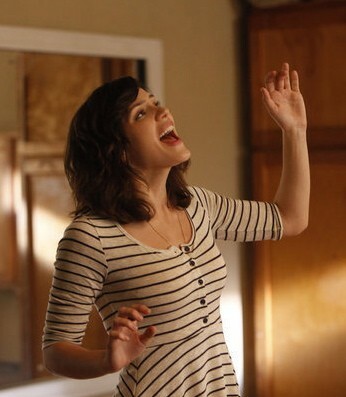 I have finally caught up with my DVR and just today watched the first two episodes of Smash. And I am quite mad…mad that I let these sit for two weeks of my DVR unenjoyed! This is seriously my new favorite show. I love every. single. thing. If you have not watched, it is well worth your time. And Ms. McPhee, you are fab! The Voice auditions continued Monday night, as well. The teams are rounding out well, but the two-hour episodes are killer. Blind auditions continue the next two weeks, but I am very much looking forward to moving on to the next round of competition. Idol wrapped up Hollywood Week with some of the best Hollywood audition episodes ever. Not because of the outstanding performances, but because it featured a wide range of contestants with generous amounts of singing and easy on the drama. Basically, just the way I like my Idol episodes cooked. However, the last round of brutal cuts in yesterday’s episode left me with a little bitter taste. Gabi Carubba and Schyler Dixon got the shaft, people. Both of these girls were very talented and certainly deserved to move on to the final solo round. The round that was supposed to be 40, but was expanded to 42. I mean, come on guys, why not 44? A little preview for next week, we have more blind auditions on The Voice, and Idol has the final solo round. I also imagine the top 24 will be announced on Thursday, with the “100 mile aisle walk of doom” wherein the contestants must walk down the insanely long walkway to await their fate. Wow, I am a rhyming MACHINE today! And if you like New York and Broadway, and like everything about Glee except for the fact that they are in HS, you will seriously love Smash. I wish I could say someone paid me to say that, but no…I am actually a huge nerd and love it. So watch. …and double the killings, of course. The recourse for the judges save means two people get ousted. Full disclosure: I missed the first 15 minutes. I am guessing that I missed an obligatory recap and a duet between Lauren and Scotty. I also just caught the tail end of the Ford Music Video, which if history tells me anything, I didn’t miss much. Ryan resumed the old hairstyle. I think he couldn’t handle the flack. I’m not going to lie–I complained to him on twitter. We als0 find out that James got a WWE engraved belt and Casey will keep beardy. Naima and Jacob duet singing Solid as a Rock. It was ok, but not great. “for the love of god- she sang about collard greens and cornbread.” I concur. I have no better words to sum that one up. Haley, Thia, and Pia inging Katy Perry’s Teenage Dream – notice they gave Thia nothing to sing on that one. Haley and Pia sounded pretty good, though! Results: Pia is safe. Haley is safe. And Thia unsurprisingly hits the stools. Paul, Casey, Stefano, and James are singing Band on the Run. They sound the opposite of hot. Um, not hot. Casey is safe. James is safe. Paul and Stefano are up, and Stefano is safe, and Paul is bottom 3. Obligatory random singer performance – this week it is will.i.am and Jamie Foxx. Does will.i.am have a dressing room there? He has performed two of the last 3 weeks. Srsly? And back to the results: Paul is safe, and the girls are getting whittled down slowly but surely. Thia and Naima are headed home. Neither one gets to sing a swan song tonight – too much group singing to have enough time. And overall the show was so unexciting in comparison to last week. Now we are going to expect Hulk Hogan every week. Next week I am betting my bank account that a guy gets sent home. (Ok, I don’t have a great track record, so don’t quote me on that. )Stefano or Paul, probably. Things are starting to get tight in this competition! I don’t hate anyone left. As Randy would say, it’s a hot one! Season 10, the remix. First, sorry this post is so late. I wanted to wait to watch the whole episode rather than catching clips online…just to see if I could see myself at the auditions. Alas, not so much. However, I did see the crazy girl who was standing next to me…they showed her jumping into a pool at the very end. But anyway, they spend so much time showing filler that we hardly get to see any auditions. Typical. But here are the few good ones that we got. Seth Rollins – Someone to Watch Over Me – He’s good, but I want to see him sing something else. Maybe he will make it through to the semi-finals, though! Jermaine Puriffoy – Smile – I like this kid a lot! He will make it far. Shelby Dressel – Turn Me On by Norah Jones – She was ok, and sang Jazz, but her voice is more country. If she survives hollywood (which is unlikely) she will need to take the country route. Jay Stone – beat boxed Come Together – HE was ok, but kind of annoying in his beat boxing, and he dissed like Blake Lewis. Not cool, dude. I don’t think he will be making it too far. There was a montage of three good girls: Janell Wheeler, Britney Starr James, and Kasi Bedford who sang Something to Talk About. Corneilus – The Pants Ripper. This was so funny! And the splits was quite the impressive move. Yikes! I don’t even remember what he sang, but he was ok. I would like to see him again when I can focus on the singing and not the hole in his pants. Bernadette and Amanda Disimone – I already hate these girls. Not thtat they will make it far in Hollywood. The novelty factor will send them back to NJ the day after they arrive in Hollywood. Matt Lawrence – Trouble – He is awesome! I think he will go far. I am very much looking forward to more performances from him. I think we are halfway through the auditions. And I need to sort out my DVR situation STAT. Because Hollywood week is coming, and as you all know, that is my favorite episode. See you all next week – I promise I will be more on the ball! This is a quick message to tell you that Allison’s album Just Like You came out yesterday, and it is super awesome. 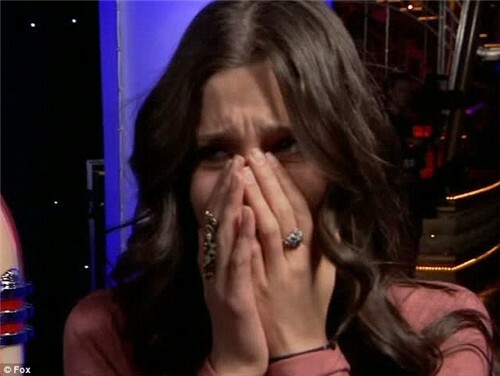 But in the car this morning I caught her on Elvis Duran and she did a live version of Don’t Waste the Pretty. O. M. G. How good is this girl? She even exceeded my expectations, and that is tough. So download the live version (at the end of the mp3) or watch the video at the Elvis Duran site.